Some twenty years ago we couldn’t imagine that it would be possible to play high graphics games on a portable device. But with the advent of smartphones, you got the chance to enjoy your favorite games whenever and wherever you want. 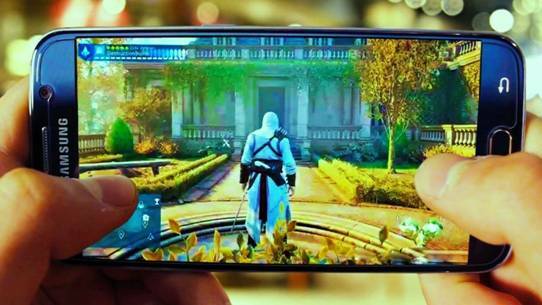 Sophisticated RPGs, mind-blowing strategy games, fun and exciting shooters have turned our smartphones into entertainment devices. Therefore, we attach so much importance to finding and installing nice games. Every day millions of users visit the Google Play Store to get something fresh onto their smartphone. Unfortunately, some people find themselves unable to download a game from official due to a variety of reasons. If you happened to face such a problem, there is no need to get frustrated. Go on reading our tutorial to get to know how to get cool games to your Android device without using the Google Play Store. This method can be successfully used by those who live in the countries that have no access to the desired game via the Google Play Store. First, you will need to access your device’s setting. To do it, make sure to tap on the dark cog on the main screen of your device. Then, you will be required to navigate to the “Security” section and look for the “Allow installation of apps from unknown sources” option there. When you’re done with that, move the bar to the right to make it green, thus confirming your action. NB! In case you venture to allow your Android device installation of any products obtained from third-party sources, you confirm your sole responsibility for the actions you have taken. The point is that after such manipulations your device becomes more susceptible to viruses, Trojans, or spyware. Therefore, for security reasons, it is highly recommendable that you disable this option once you are done with installing the necessary software. Find a safe and reputable website offering the application you would like to install. Download the “APK” file by choosing the “Download” option. For the overall download process to pass smoothly, we recommend that you get Android File Transfer. To do it, visit the Android official website, find this program and select the “Download” option. Then, locate the downloaded file in your Downloads folder and tap on. Thus, you will start running the program. Pull the Android File Transfer icon into the Applications folder. Using the USB cable, connect your Android device to the comp. You next step is to open the downloaded File Transfer. After doing that, you will see your Android data in the pop-up application window. Locate the application you want to play on the home screen. If you want to download a console game onto your device, you’ll be required to get a good emulator from the Internet. For instance, if you want to play Red, Gold, Blue, and Silver Pokemon versions, you’ll need to download the Game Boy Color emulator. If you’re planning on playing Black, White, Black 2, White 2, HeartGold, or SoulSilver, then, you’ll be needing the Nintendo DS emulation software. Among other popular emulators for various consoles are Zsnes, Visual Boy Advance, MAME, Gameboid, RetroArch, PCSX2, SNESoid, and N64oid. You are free to familiarize yourself with the detailed list of consoles on RomsMode. Keep in mind that currently it’s impossible to play Nintendo 3DS stuff on your Android device due to the fact that there is no reliable emulator capable of running such demanding games without crashes and freezes. 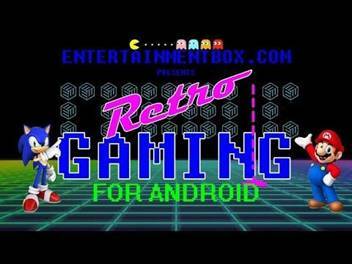 Once you’re ready with downloading your emulator, you can start looking for the games that are usually offered by the websites dedicated to distributing ROM files. Be vigilant and never download anything from the online sources whose reputation cannot be verified. When you download the necessary game file from such reliable websites as Romsmania, RomsMode, EmuParadise, or LoveRom, make sure to put it into the appropriate ROM folder. Some emulators create the default folders for storing game file, whereas others will require you to create the one by yourself. Now you are ready to open the new emulator and select the new game. Just tap “Load ROM” or “Open” option and start enjoying it right now. Also, if you have any more questions to ask then feel free to leave a comment below.